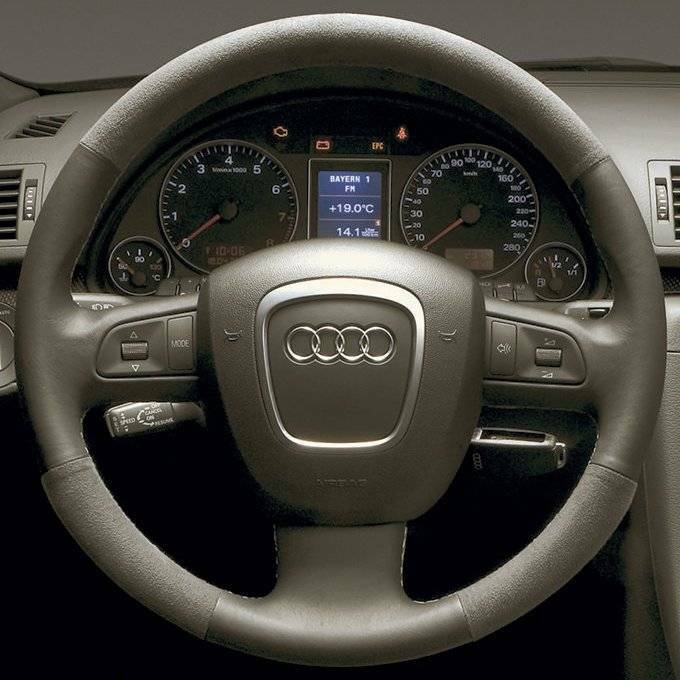 A very unique steering wheel for your A4, S4 or RS4. This steering wheel is fitted with Dinamica, a fuzzy alcantara like material, for a unique touch to match other DTM Dinamica covered interior equipment such as the shift knob and door panels. For cars with multi-function steering wheels currently this steering wheel is plug and play.